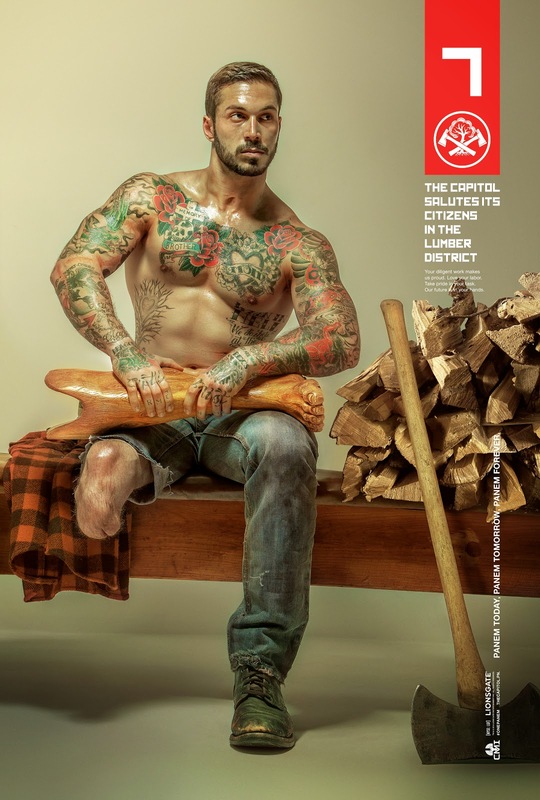 The marketing for Mockingjay is officially getting into full swing. Today, the Capitol Ministry of Information in partnership with Yahoo! 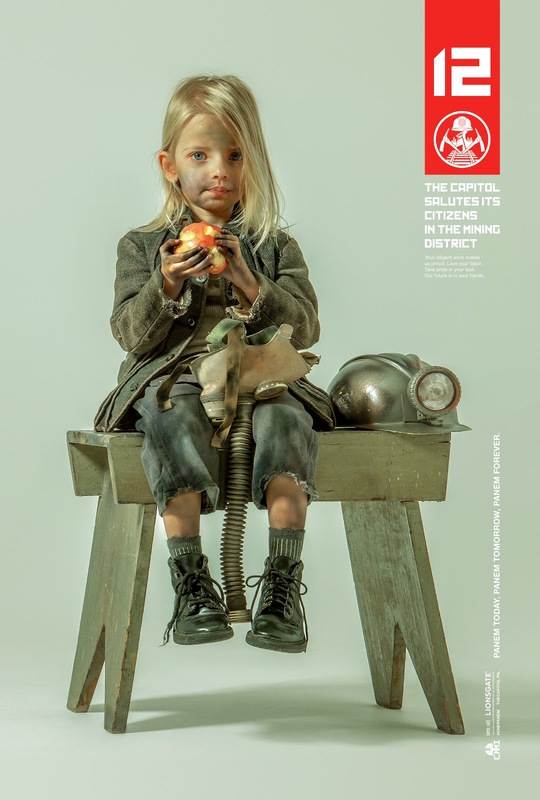 Movies and Capitol Couture has debuted a series of 7 new viral posters titled District Heroes, featuring a look at districts 3, 4, 6, 7, 9, 10 and of course 12. 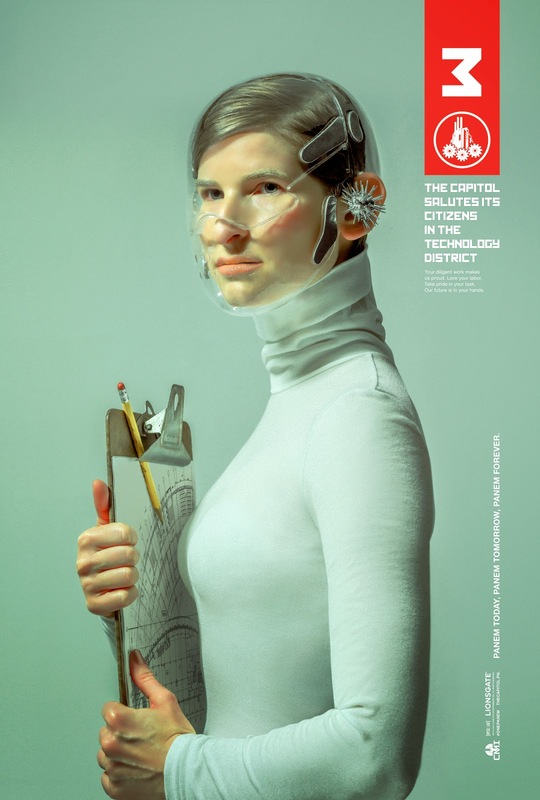 The eerily beautiful posters conceived by Lionsgate's Chief Marketing Officer Tim Palen do not feature any known franchise characters but are designed to showcase the best of each district, echoing the propaganda styles of the former Soviet Union as well as keeping with the sleek post-modern style that the Capitol has been known for. 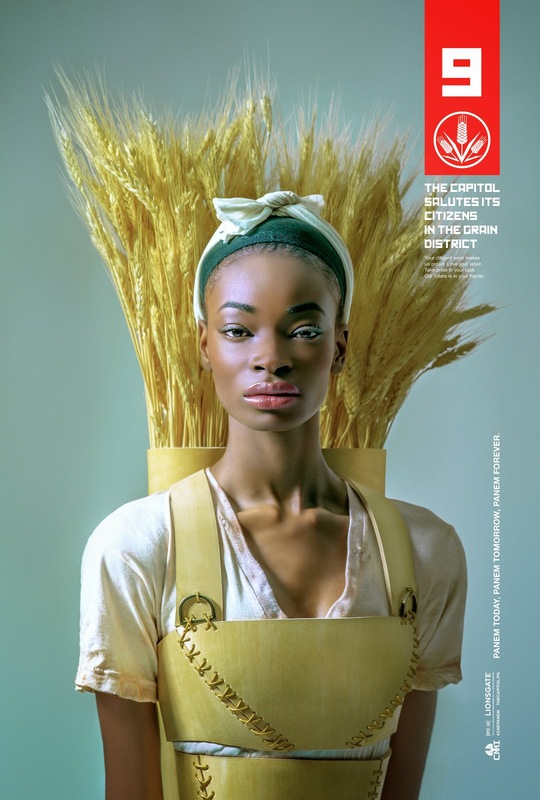 We LOVE the fact that these posters appear to show Capitol citizens modelling as district citizens, as part of a propaganda campaign to project an image of 'One Panem' (District 12 doesn't even exist anymore). 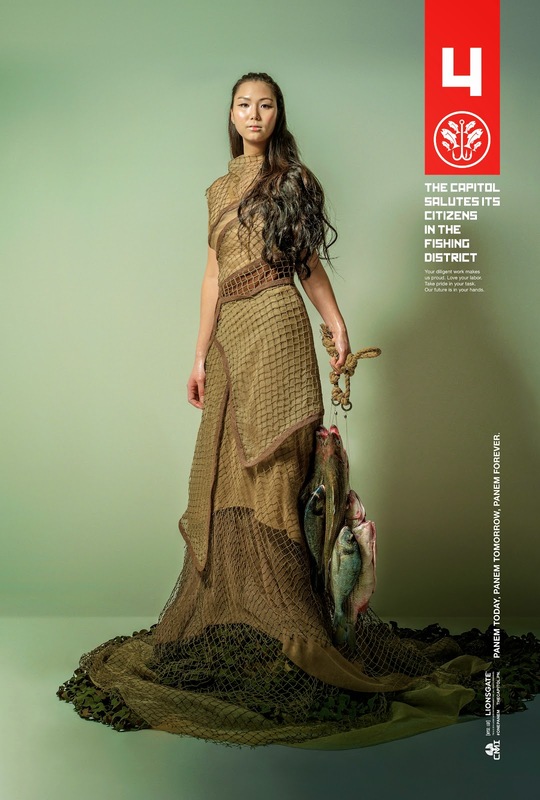 Thinking about it, this is exactly the sort of thing the Capitol would do! 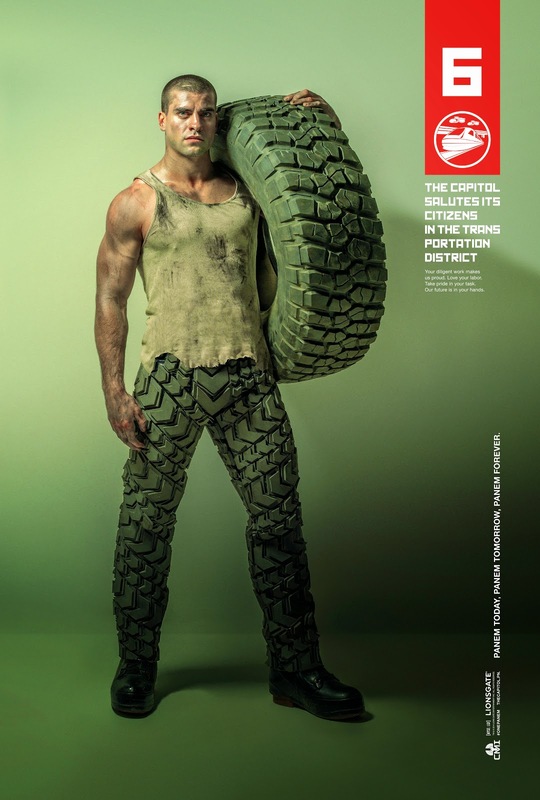 The reveal of the posters has been done in a similar way to the previous Capitol Portraits and Quarter Quell poster sets. As both were done in the run up to Catching Fire trailers 1 and 2 respectively, today's reveal suggests that we may be getting a Mockingjay trailer very soon, likely in time for next week's US theatrical release of Transformers: Age of Extinction. 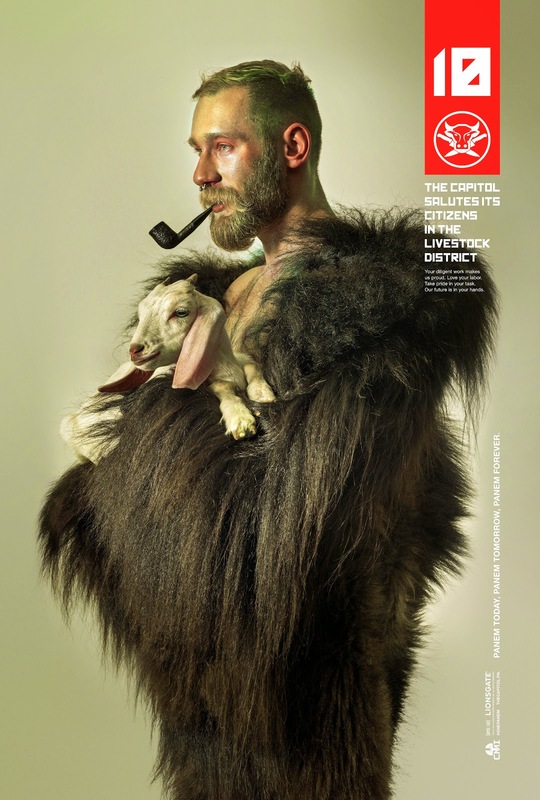 UPDATE: TheCapitol.PN has now been updated with the new posters, encouraging users to register for Capitol TV updates, hinting further at an imminent teaser release.